هر انسانی باید تا آنجایی که امکان دارد هر چه زودتر پس از تشخیص ابتلای او به HIV تحت درمان داروهای ضد ویروس HIV و انسانهایی که در معرض خطر بسیار بالای ابتلا به ویروس اچ آی وی قرار دارند یک داروی پیشگیری دریافت کنند. این توصیه از سوی سازمان بهداشت جهانی “درمان همه” نامیده شده است که برای کمک و جلوگیری ازمرگ و میر 21 میلیون انسان تا سال 2030 و همچنین پیشگیری از 28 میلیون مورد جدید ابتلا مردم به ویروس اچ آی وی می باشد. ART Therapy, having more certainty for the future. 30 SEPTEMBER 2015 , GENEVA – Anyone infected with HIV should begin antiretroviral treatment as soon after diagnosis as possible, WHO announced Wednesday. With its “treat-all” recommendation, WHO removes all limitations on eligibility for antiretroviral therapy (ART) among people living with HIV; all populations and age groups are now eligible for treatment. The expanded use of antiretroviral treatment is supported by recent findings from clinical trials confirming that early use of ART keeps people living with HIV alive, healthier and reduces the risk of transmitting the virus to partners. Jeder, der mit HIV infiziert ist, sollte die antiretrovirale Behandlung so bald wie möglich nach der Diagnose beginnen. Menschen mit einem hohen HIV-Risiko sollten eine Präexpositionsprophylaxe erhalten. Diese „Treat-All“-Empfehlung soll laut der Weltgesundheitsorganisation, WHO, helfen, bis 2030 mehr als 21 Millionen Tote und 28 Millionen neu HIV-Infektionen zu verhindern. Die neuen Empfehlungen wurden am 30. September 2015 vorgestellt. آیا شما اچ آی وی منفی هستید و مایلید که همین گونه وضعیت تندرستی شما باقی بماند؟ روزانه یک عدد قرص تراوادا راه حل بسیار مناسبی برای پیشگیری از ابتلا به به ویروس عفونی اچ آی وی است. داروی تراواد برای پیشگیری از ابتلا به عفونت اچ آی وی و همچنین درمان برای مبتلایان به ویروس اچ آی وی و بیماران ایدز. When I first heard about the introduction of the use of Truvada for PrEP (pre-exposure prophylaxis) in 2012, I did not give it much thought. 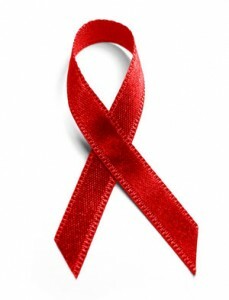 I had been cured of HIV in 2007, and had been told by my doctors that I am immune to the virus. Therefore, I did not think that PrEP was something I needed for myself. Since the whole reason for all of my work is to help the HIV-positive community and their loved ones by giving hope that HIV can be cured, I eventually decided that PrEP is an important tool in preventing new infections and this is an extremely large part of my mission. This article will explain why my mindset toward PrEP for sexually active individuals and injection drug users has been transformed dramatically. Pre-exposure prophylaxis (PrEP) is an HIV prevention strategy that involves HIV-negative people taking anti-HIV drugs to reduce their risk of HIV infection. This strategy also involves regular visits with a service provider to test for HIV and other sexually transmitted infections (STIs), monitor side effects and receive adherence and risk-reduction support. Several randomized, placebo-controlled clinical trials (RCTs) have shown that the daily use of a pill containing the anti-HIV drugs tenofovir and FTC (known by the brand name Truvada) is generally safe and can reduce the risk of HIV infection by over 90% if taken as directed. It is less effective if pills are missed. 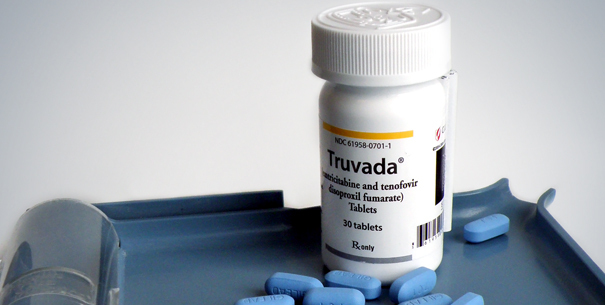 The daily use of Truvada as PrEP has been approved by the Food and Drug Administration (FDA) in the U.S. Also, the Centers for Disease Control and Prevention (CDC) and World Health Organization (WHO) have released guidelines recommending that PrEP be offered to HIV-negative people at high risk of HIV infection.